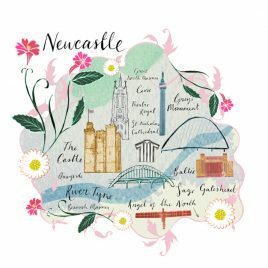 New fine art inkjet print (giclée print) of the city of Newcastle. This intricate illustration was originally drawn by hand in my London studio. Each print is hand-signed by the artist. Digitally printed with pigment based inks on slightly textured 310 gsm fine art paper, to achieve superior archival quality. 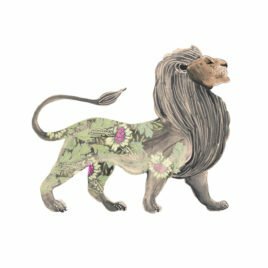 The giclée print is the closest possible match to the original work resulting in a painterly, soft image with a classy, decorative feel. This hand-drawn typographic map was originally created using my signature multi-layered approach, fusing traditional pencil drawing and print-making with digital processes. Inspired by my love of pattern, cities and their stories. New fine art inkjet print (giclée print) of the city of Paris. 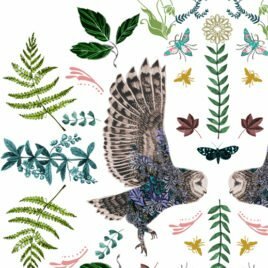 This intricate illustration was originally drawn by hand in my London studio. Each print is hand-signed by the artist. Digitally printed with pigment based inks on slightly textured 310 gsm fine art paper, to achieve superior archival quality. 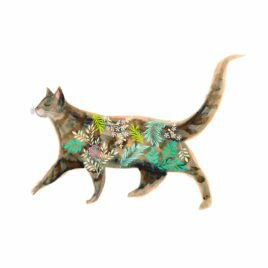 The giclée print is the closest possible match to the original work resulting in a painterly, soft image with a classy, decorative feel. This hand-drawn typographic map was originally created using my signature multi-layered approach, fusing traditional pencil drawing and print-making with digital processes. Inspired by my love of pattern, cities and their stories. 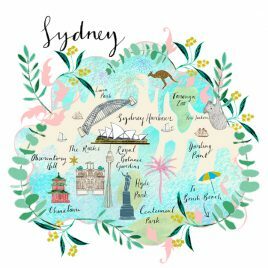 New fine art inkjet print (giclée print) of the city of Sydney. This intricate illustration was originally drawn by hand in my London studio. Each print is hand-signed by the artist. Digitally printed with pigment based inks on slightly textured 310 gsm fine art paper, to achieve superior archival quality. The giclée print is the closest possible match to the original work resulting in a painterly, soft image with a classy, decorative feel. This hand-drawn typographic map was originally created using my signature multi-layered approach, fusing traditional pencil drawing and print-making with digital processes. Inspired by my love of pattern, cities and their stories. New fine art inkjet print (giclée print) of the city of Tokyo. 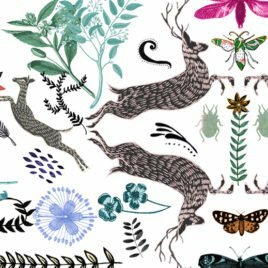 This intricate illustration was originally drawn by hand in my London studio. Each print is hand-signed by the artist. Digitally printed with pigment based inks on slightly textured 310 gsm fine art paper, to achieve superior archival quality. The giclée print is the closest possible match to the original work resulting in a painterly, soft image with a classy, decorative feel. This hand-drawn typographic map was originally created using my signature multi-layered approach, fusing traditional pencil drawing and print-making with digital processes. Inspired by my love of pattern, cities and their stories. 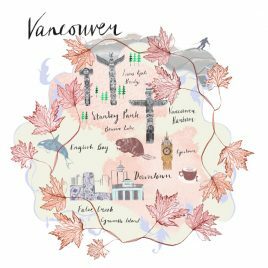 New fine art inkjet print (giclée print) of the city of Vancouver. This intricate illustration was originally drawn by hand in my London studio. Each print is hand-signed by the artist. Digitally printed with pigment based inks on slightly textured 310 gsm fine art paper, to achieve superior archival quality. The giclée print is the closest possible match to the original work resulting in a painterly, soft image with a classy, decorative feel. This hand-drawn typographic map was originally created using my signature multi-layered approach, fusing traditional pencil drawing and print-making with digital processes. Inspired by my love of pattern, cities and their stories. New fine art inkjet print (giclée print) of the city of Venice. This intricate illustration was originally drawn by hand in my London studio. Each print is hand-signed by the artist. 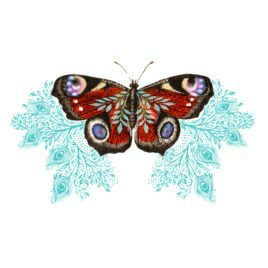 Digitally printed with pigment based inks on slightly textured 310 gsm fine art paper, to achieve superior archival quality. The giclée print is the closest possible match to the original work resulting in a painterly, soft image with a classy, decorative feel. This hand-drawn typographic map was originally created using my signature multi-layered approach, fusing traditional pencil drawing and print-making with digital processes. Inspired by my love of pattern, cities and their stories. 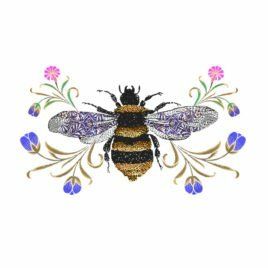 Brand new 'Bumblebee' unlimited edition archival giclée print. Printed on G.F. Smith paper. Signed by the artist. Mount/frame not included. Posted to you flat in a plastic cellophane sleeve and board back. Printed in the UK. Brand new 'Owl' unlimited edition archival giclée print. Printed on G.F. Smith paper. Signed by the artist. Mount/frame not included. Posted to you flat in a plastic cellophane sleeve and board back. Printed in the UK.